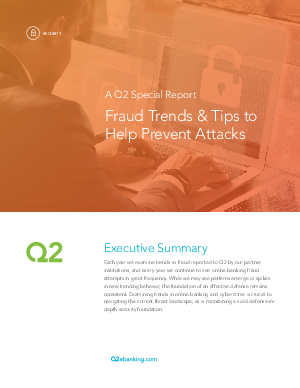 This special Q2 report presents the latest fraud trends affecting financial institutions and provides insights on how to prevent being hit. Suspected fraudulent transactions or behavior increased by 83 percent in 2016 vs. 2015. However, the total dollar amount reported as lost decreased by 28 percent over the period – evidence that a solid defense results in less transactions leaving institutions. This exclusive report tells you the top three controls from Q2 that form a successful defense.